class="post-template-default single single-post postid-313758 single-format-standard group-blog masthead-fixed full-width singular wpb-js-composer js-comp-ver-5.7 vc_responsive"
CONCORD, Neb. (AP) — Planting and field work progress as they usually do this time of year at the Haskell Agricultural Laboratory. For the University of Nebraska researchers who work at the facility near Concord, the work was being done with the knowledge that it likely wouldn’t be the last time that they’d be planting crops here in search of better ways to grow them. The Sioux City Journal reports that targeted for closure earlier this year as part of $11 million in cuts suggested by university leaders to comply with Gov. Pete Ricketts’ request for a 4 percent reduction to the university system’s current budget, the lab got a second life when the Legislature passed a budget requiring only a 1 percent reduction. The lower amount allowed university administrators to find other ways to make ends meet without closing the 61-year-old facility, where researchers have studied ag practices such as crop and livestock production, crop nutrition, irrigation and water management, soil science, and weed, disease and pest management. 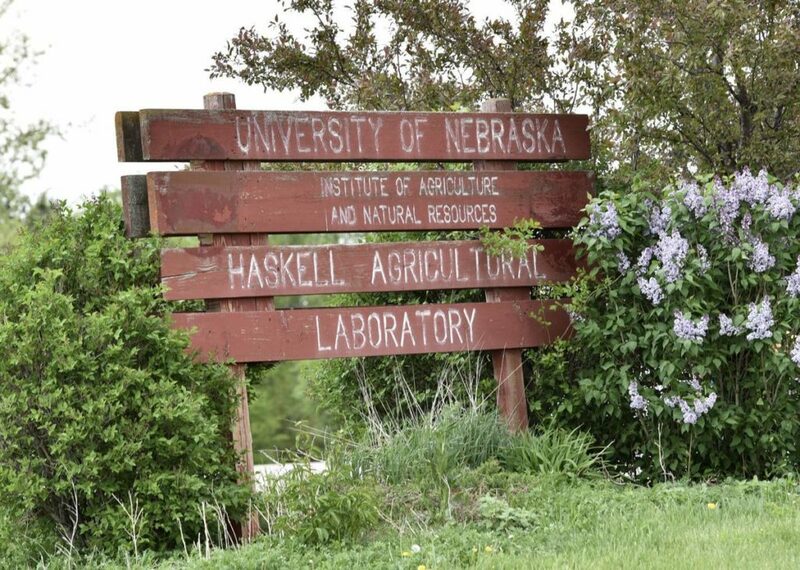 Relieved with the reprieve, university leaders and lab supporters are committed to making Haskell more responsive to Northeast Nebraskans’ needs and, hopefully, keep it off future budget cut lists. “What that’s going to look like and if it will keep us off the list of future cuts is uncertain. We’re hoping to make a good enough case in the next few months that will keep us off future lists,” said Bill Kranz, associate director of the Northeast Extension District and a professor of biological systems engineering who had done irrigation research at Haskell for 30 years before being promoted to oversee the lab and the 28-county extension district. Throughout the summer, Kranz and other university officials will host listening sessions across the district in which northeast Nebraskans will be asked how Haskell and the extension can better serve their needs. An expanded annual field day on Aug. 14 at Haskell also will aim to attract more people and gain more input. Those opinions will help shape the research facility’s future. “We will determine what that next chapter of life for Haskell Ag Lab will be,” said Mike Boehm, vice chancellor of the Institute of Agriculture and Natural Resources, which oversees Haskell, one of 12 agricultural research labs the university operates across the state. Those listening sessions are likely to yield a bumper crop of ideas and suggestions. Kent Bearnes, an independent agronomist and seed sales representative from Laurel, Nebraska, can foresee the lab’s focus on broad-based research evolve into creating educational opportunities and programs to attract students of all ages to the 320-acre farm. He’d also like to see more collaboration take place at the farm between Haskell researchers and those at the university’s other ag research facilities. There are many other ideas about how to make Haskell more important to northeast Nebraska and the university, he said. “For now, we have been given a reprieve, but we can’t sit back. This is a wake-up call. 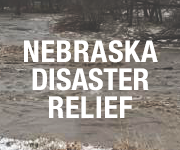 Let’s see how we can have an impact,” said Bearnes, who’s also a member of Haskell’s advisory committee and president of the Northeast Nebraska Experimental Farm Association, which provides support to the lab. In recommending closing Haskell at an annual savings of $1 million, Boehm had cited $1.5 million in needed maintenance and improvements and seven staff positions that hadn’t been filled in the past 10 years. To what extent those issues will be addressed will depend on the public input the university receives. Once that input has been gathered, university leaders can establish a vision and action plan for Haskell that will determine what kinds of facilities and staffing levels are warranted. Now that Haskell has survived the budget axe, Boehm said he hopes to keep it open. If the university were forced to make extreme cuts in the future, all programs would be back on the table, he said. But for now, it wouldn’t be fair to put people through the possibility of eliminating the program and then go to the work of gathering all these opinions, only to close Haskell in the near future. Boehm said he wants to see Haskell Ag Lab move forward, and, based on all the support it received when it looked destined to close, he’s optimistic that it can remain relevant to northeast Nebraska. “I think we’ve got positive momentum,” he said.